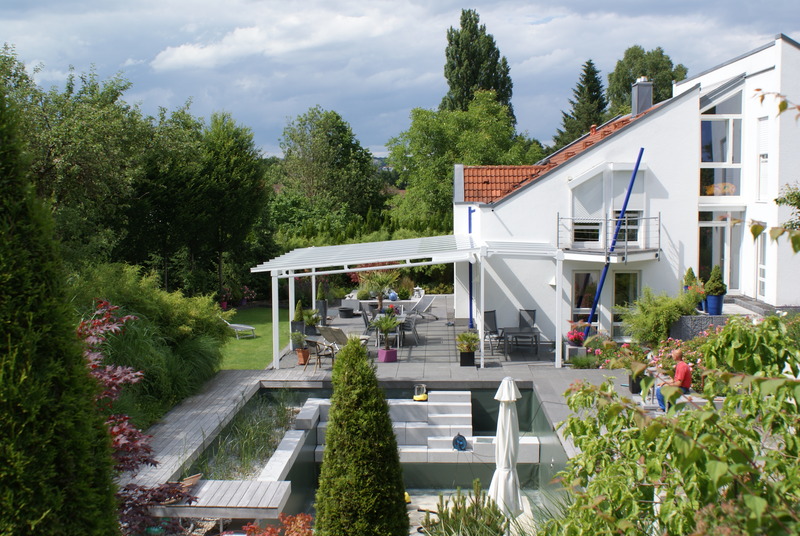 We, the Joka-System GmbH, are the European market leader in the production of glass sliding roofs. Since we have marketed our first innovative glass sliding system called “Vitello-Flex” in 2009, our company is growing constantly from year to year. The main focus of the entire team is to offer you a high level of quality, functionality and individuality. Together with our resellers, we would like to realize your special living dream of an oasis of well-being in your own garden. Our success is based on the continuous further development of innovative products. 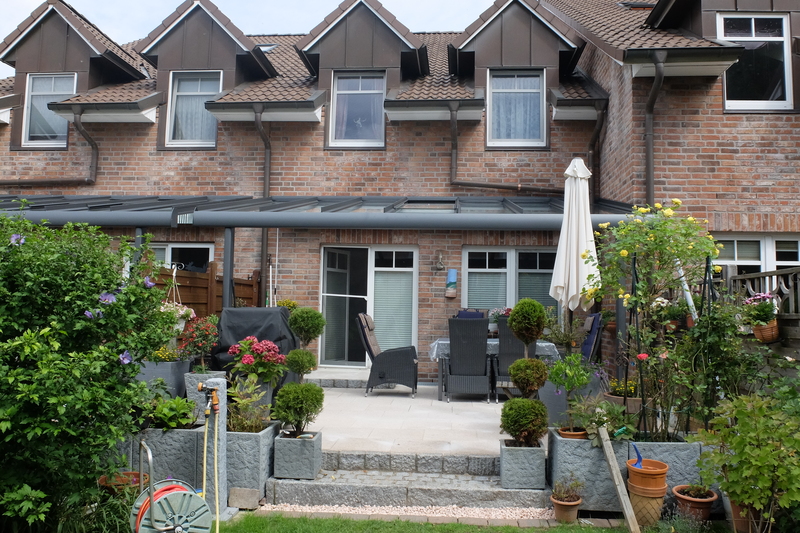 We adapt our roofs to the individual local conditions of our clients and manufacture to measure. Naturally you also have a say in that: Simply select the construction type and the perfect coat of paint. 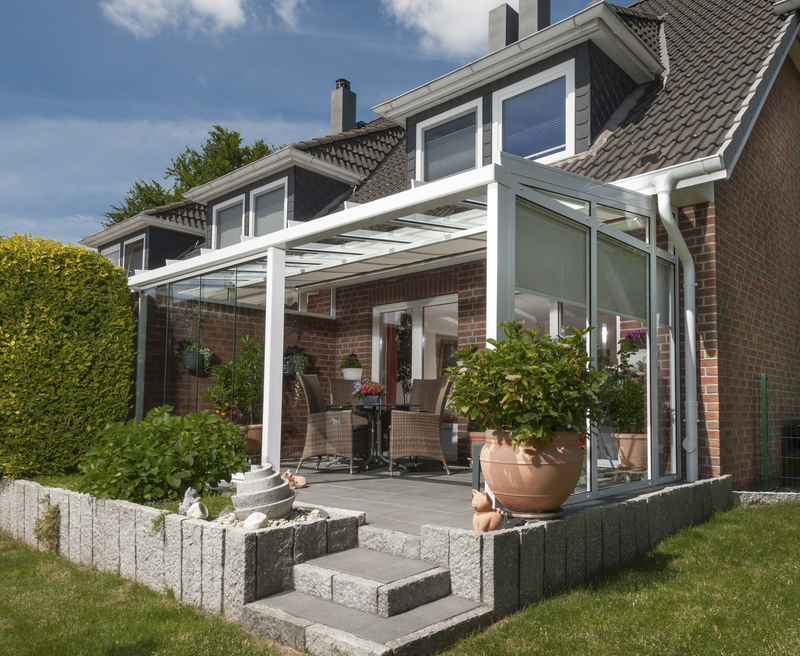 After that we will not only create an eye-catcher in your garden, but also a glass roof certified according to DIN EN 1090, which offers you comprehensive protection against wind and weather. Don’t be restricted by the weather and experience the feeling of freedom on your terrace, which involves a maximum of transparency. The skilled glass construction plays a major role. 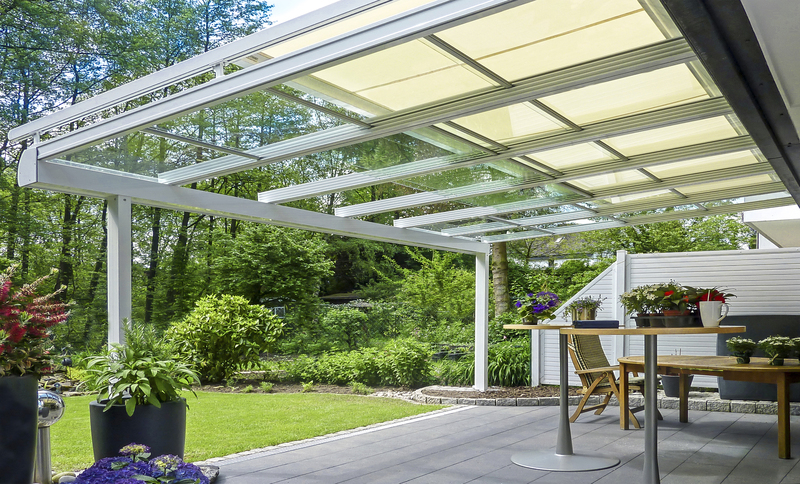 We work steadfastly to demonstrate you the almost limitless possibilities offered by our glass roofs and all-glass elements. 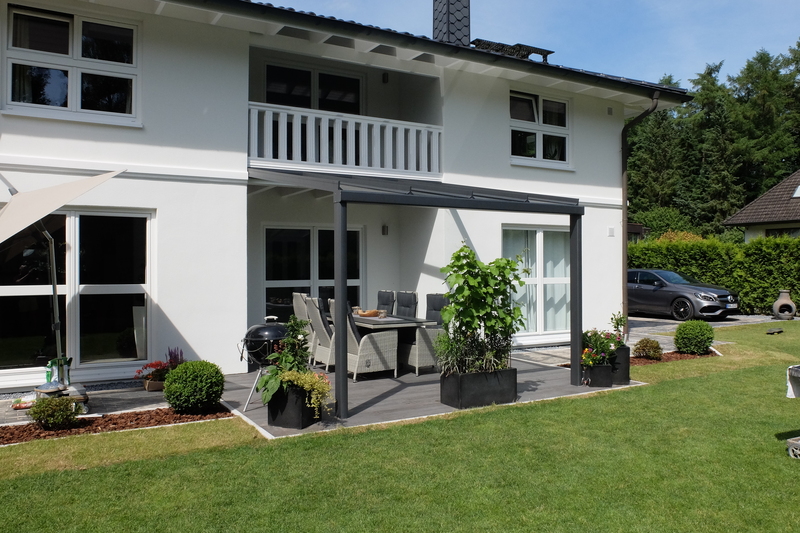 Your terrace will turn into a weatherproof place in combination with a place to rest. Use and enjoy this special place the whole year, which you have created together with us.